R-Studio is a comprehensive and cost-effective undelete and data recovery solution for data recovery experts, system administrators, IT professionals, and advanced and experienced computer users. It has renowned for its ability to recover mission-critical data lost to viruses, malicious attacks, and hardware failures or operating system crashes. 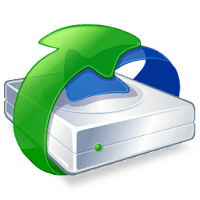 Empowered by unique data recovery technologies, the program can be used to recover files from NTFS, NTFS5, ReFS, FAT12/16/32, exFAT, HFS/HFS+ (Macintosh), Little and Big Endian variants of UFS1/UFS2 (FreeBSD/OpenBSD/NetBSD/Solaris) and Ext2/Ext3/Ext4 FS (Linux) partitions. R-Studio uses raw file recovery (scan for known file types) for heavily damaged or unknown file systems. It functions on local and network disks, even if such partitions are formatted, damaged or deleted. Flexible parameter settings give you absolute control over data recovery. From hard disk with bad sectors. Disclaimer: Direct downloads for the lastest version of R-Studio 8.3.168075 are provided by the official software's author, we can't guarantee safety, availability or download speed. Moreover, we don't and we won't provide any pirated/illegal versions or tools. We recommend you to avoid it as these methods can harm your device. If you like the software, buy it to support the developers. (We provide software discounts for many worldwide brands).